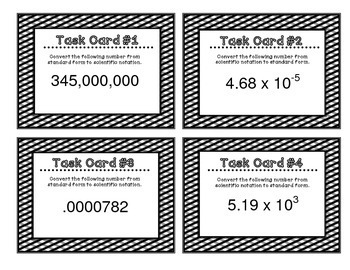 This is set of student "Task Cards" on the concept of Scientific Notation and Standard Form Numbers. 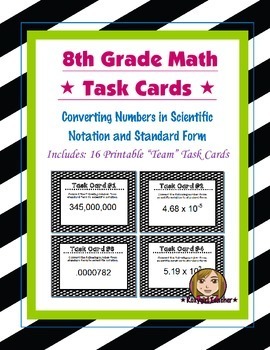 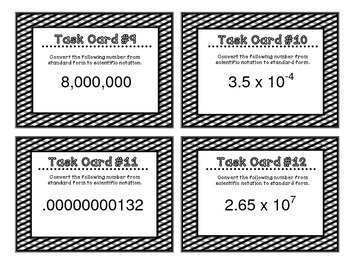 Included is a set of 16 "Task Cards" with tasks on converting small and large numbers in standard form to scientific notation and converting small and large numbers in scientific notation to standard form. 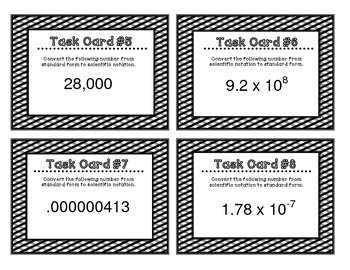 **These "Task Cards" come four to a page and should be copied on card stock.